Peter Maunu is the archetype 21st Century musician -- a master at using technique and technology to forge great art. The creative breadth and beauty of Peter Maunu's textural guitar work can best be appreciated by examining his musical roots. He began his career as a classical violinist and concert master, earning a scholarship to the San Francisco Conservatory of Music while still in his early teens. After hearing the groundbreaking work of Hendrix and The Beatles' "Tomorrow Never Knows", Peter became fascinated with the sonic possibilities of the guitar and it soon commanded much of his interest. His orchestral approach to playing has always infused his guitar work. Peter's musicality and command of many styles has led to recording and live performances with an eclectic group of artists including Airto, Billy Cobham, Jean-Luc Ponty, Heart, L.A. Express, The Pointer Sisters, Wang Chung, Lou Gramm and Bobby McFerrin. 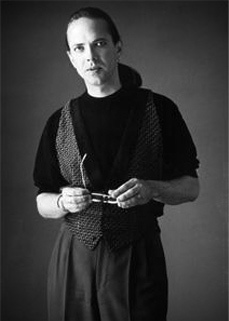 In the late 70's, he and several Bay Area friends -- Mark Isham, Patrick O'Hearn, Terry Bozzio -- formed the pioneering instrumental alliance Group 87, which released two ahead-of-its-time albums. Maunu's longtime involvement with composer Mark Isham has encouraged his experimental side, leading to Peter's many contributions in film music. His solo album "Warm Sound in a Gray Field" is a showcase for his adventurous compositional style. "I like exploring and really getting inside the subtle sonic possibilities of a device," Peter says. "We all have little sanctuaries within ourselves where we often go. I might feel like making a violent racket one day, and on another day my mood might call for a beautiful ambient drone. Other times, I force myself to go down a path I've never been before. I let the emerging sound dictate the creative process and take the time to explore where it might lead me."